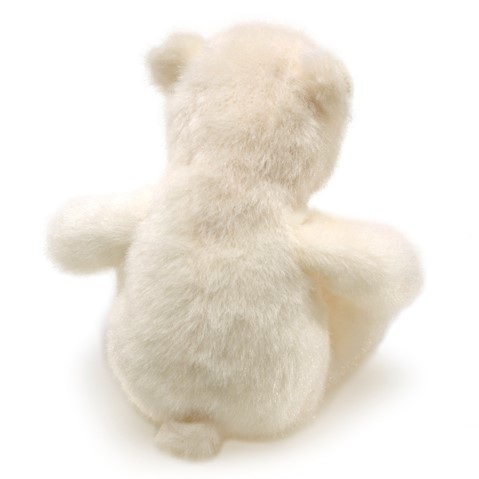 The Folkmanis Polar bear finger puppets all white polar bear finger puppet is 3 inches long, 3 inches wide and 4 inches tall (7.6 x 7.6 x 10.1 cm). 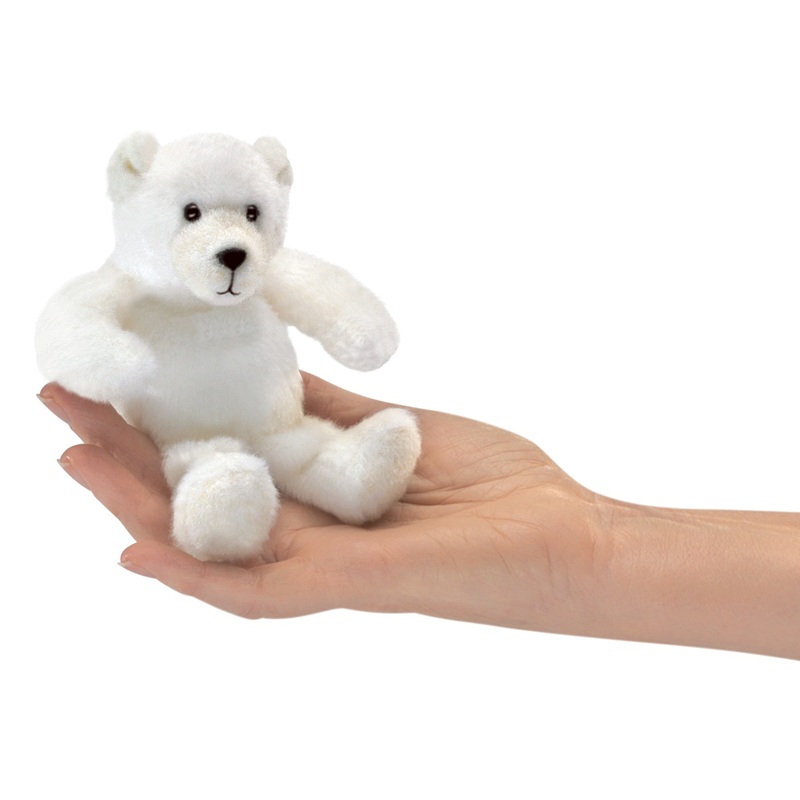 You can work with the finger puppet to have it sit. The finger goes into the puppet from underneath the body. Small Panda Hand Puppet by Folkmanis Disc.